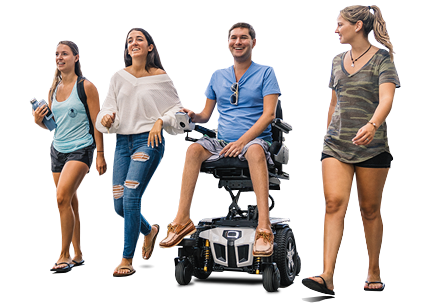 EXETER, PA - Quantum Rehab®, a Pride Mobility Products® company, is pleased to announce its award of three 2014 Mobility Management "ATP & Clinician Best Picks" complex rehab product awards. An annual recognition in Mobility Management Magazine, "ATP & Clinician Best Picks" surveys complex rehab professionals and selects the most esteemed products. Quantum was honored for three of its products, with the Q6 Edge® power base, TRU-Balance® 3 Power Positioning Systems and Q-Logic 2 with Specialty Control Input Module each elected as "Best Picks" by industry professionals. In recognizing the Q6 Edge, physiotherapist, James Foster noted, "It is a well-balanced, compact power base with great suspension, good power and seat heightxs. With cost-effective options and electronics that can be tweaked for performance, it can offer opportunity without much compromise to the end user driving it." Jay Brislin, Vice President of Quantum Rehab, shares, "We're committed to delivering the best customer experience to providers, ATPs, clinicians and clients. It's a true honor to have three Quantum products so prestigiously recognized by the complex rehab community."